Just Shutters are Andover’s premier plantation shutter company, offering the greatest range and value to all our customers. Andover Plantation Shutters from your local experts! Your local specialist is Rob Cole. He is an expert with an eye for detail and thorough nature that creates perfection. Rob has been MD of your local Just Shutters for many years and has earned an unsurpassed reputation for quality and service. With a whole spectrum of architectural styles, from its rich Saxon history to its present day developments, Andover provides a wealth of glorious homes. 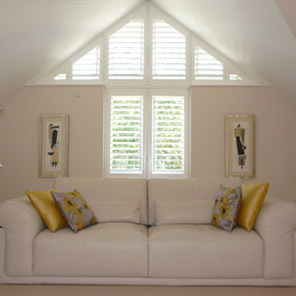 Whether you live in a modern or traditional home, Just Shutters have the perfect solution for you. Having designed and installed our glorious internal shutters in over 8000 homes new and old (and everywhere in between), we will treat every property with the expert care and consideration we would our own! Shutters are fast becoming the number one window covering of choice among the more discerning homeowner. While the blind and curtain market is mainly static, the sale of plantation shutters is growing and growing. When you look at the plenitude of benefits shutters offer it is easy to see why! – Low maintenance. Shutters offer an easy to clean, no maintenance solution. – Perfect for light and shade control. Shutters control the lighting in all situations from full light to almost blackout. – Allergen reducing! Shutters don’t hold spores, moulds or mildews like fabrics and untreated wood. – Noise reducing! Shutters reduce noise pollution in your home. – Offer privacy and security. – Add value to your home. – Do not warp, bleach or split like other window coverings can! – Are prefect for use in all environments throughout the home. Shutters are even perfect for humid kitchens or bathrooms. – Bespoke and made to measure so fit all shapes and sizes perfectly! – Last and last! They even come with a lifetime guarantee. – Our shutters can be colour matched and come in a range of styles to suit any home. – Cordless – so no safety hazard here! While shutters offer this wide variety of reasons for purchase, we often find the main reason people buy shutters is simple – they look stunning and people love them! So, whatever your reason for considering shutters, make sure you choose a company that offers the best choice and value. Along with incredible customer service! Make sure you chose Just Shutters. Challenge us to show you why we are the best. Call us today on 01722 440714. Just Shutters has grown organically across the UK from our local family roots in Dorset. We have grown through our outstanding reputation for quality and service. We are unsurpassed in our reviews and recommendations. Today we keep the small family business ethics at our core, while bringing customers the benefits and security of a much larger establishment. We now have local experts throughout much of the UK, each one operating to the Just Shutters impeccable standard while retaining the local expert trust you have when employing a tradesman in your own area. We combine the very best of both worlds and would be delighted to show you how this can make such a difference when buying with us. Please get in touch today and let Just Shutters demonstrate why we are the number one choice for shutters in Andover and the surrounding areas – call us today on 01722 440714. Professional, effective, clean and tidy service and excellent end result.